As is often the case, a simple little thing turns out to be the big thing. That little thing is that almost every car that has been sold in the past five years has had bluetooth connectivity to the car audio system. These days your phone is connected wirelessly to your car the minute you open the door and get in it. That’s a powerful thing. 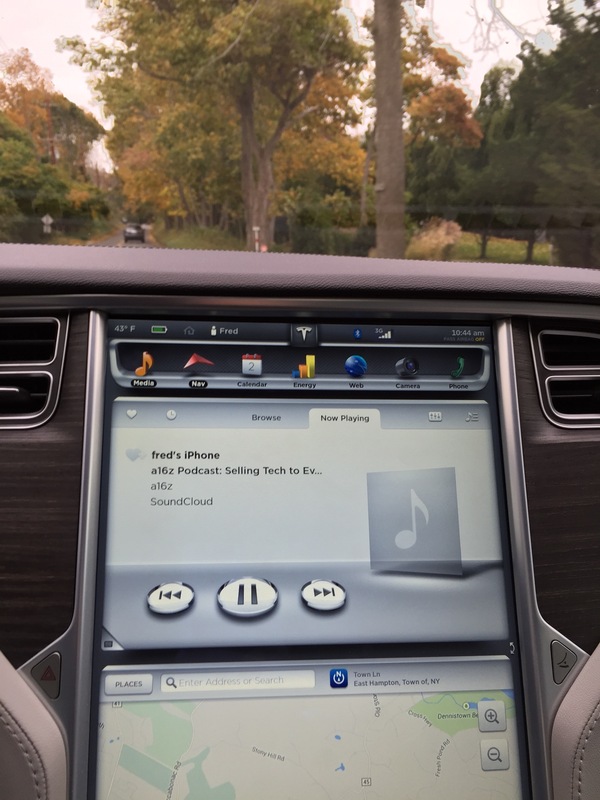 The phone has become the portal to the car audio system. And so if you can get podcasts on your phone, which is trivial these days, you can listen to them on the way to work or your way home. As the NY Mag piece explains, many public radio veterans have started podcasts and they are, as you would expect, very good. And you have things like the A16Z podcast and Spark’s Hallway Chats to listen to if you are tech or startup person and want to listen to tech/startup stuff on the way to work. The trending audio page on SoundCloud shows the most popular talk content on SoundCloud. The diversity of subject matter and styles is really extraordinary. And there are also a host of podcasting clients for mobile phones that have come to market recently. Stitcher, Overcast, and Instacast are three popular ones. I mostly just listen on SoundCloud but if you want to have a single client that can aggregate RSS feeds as well as SoundCloud and other audio hosts, the mobile phone client is the way to go. The only thing we need now is for Howard Stern to leave the airwaves and move to podcasting. Then podcasting would take over the world of talk radio. It seems inevitable.